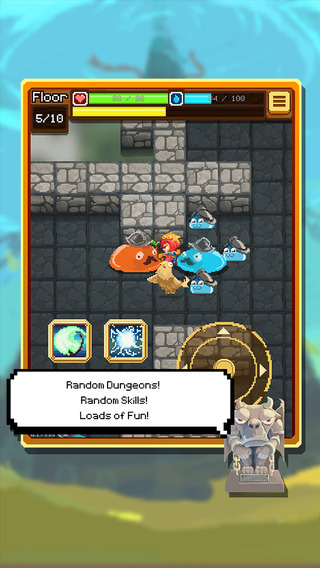 I Wanna Be A Hero, a new $2.99 app for Apple’s iOS platform, is a fun, exciting roguelike that combines a quirky storyline with retro graphics to offer gamers a real treat. There’s a lot on offer in I Wanna Be A Hero, ranging from a thrilling skill set which players can develop to pixelated enemies which must be slayed by your hero. You start the game with little on your side: you take control of a single character who’s determined to prove himself, and embark on a quest into an unforgiving world filled with a whole host of baddies. The game builds its way up to a final confrontation between your would-be hero and a dark figure known as “the Master of the Tower.” As such, your route to this deathly enemy serves as a kind of training, with your hero developing his skills along the way. I Wanna Be A Hero for iOS. 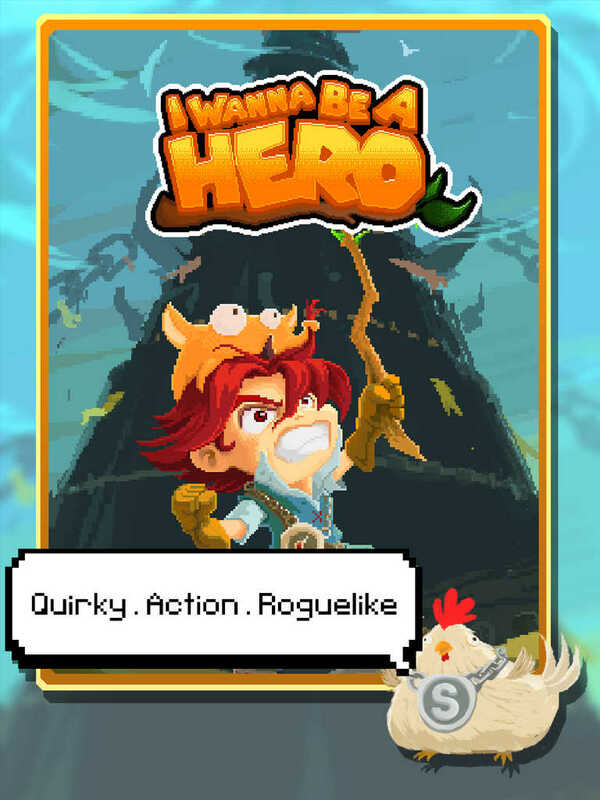 I Wanna Be A Hero feels like a true roguelike, though it does offer the unusual combination of real-time grid-based gaming. There are also procedurally generated levels, meaning each play-through will be different from the one before it, and more than 30 different skills can be matched in order to create a hero that is truly unique. Finally, I Wanna Be A Hero is fully premium app, and features no in-game advertsiements or in-app purchases (IAPs) — something gamers will be pleased to learn. Lovable and Quirky Pixel Art – We have slimes with moustaches. Real-time + Grid-based Rogue-like?! A new take that promises to be way more thrilling & challenging! Use your enemies to your advantage! Learn to dodge! Loads of interaction! Procedurally generated levels – Every play session will always be different! Mix and match from over 30 different skills to create your own unique hero. Play it your way! Featuring music and audio by the talented IMBA Interactive. Cheers for IMBA! No IAP! No Advertisements! 100% Game. So, what are you waiting for? Do you wanna be a hero? If so, check out the application now. As mentioned, I Wanna Be A Hero can be yours for just $2.99, and it’s optimized for the iPhone/iPod touch and iPad.